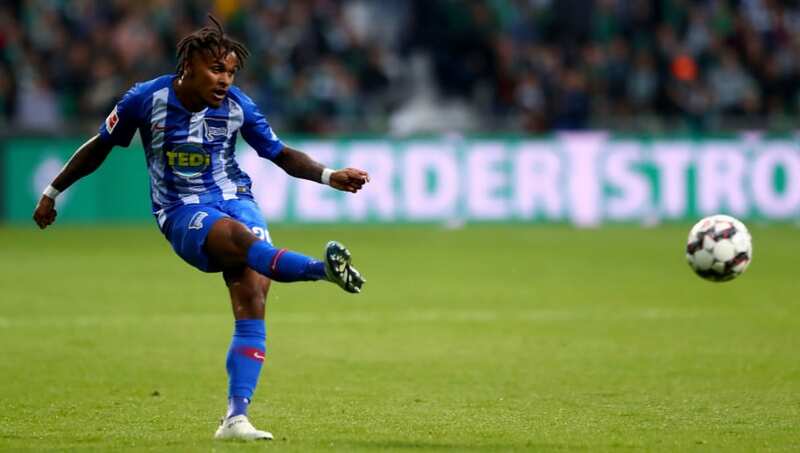 ​Hertha Berlin's versatile wide man Valentino Lazaro has caught the eye this season due to his stand-out performances for the German club, with Everton and Leicester City among those reportedly interested in his services. Lazaro, who can play on the right side of midfield or defence, has been credited as a major influence in Hertha's impressive season, which sees them maintain faint hopes of a Europa League berth. Not just catching the eye of the two ​Premier League clubs, the Austrian is said to be attracting strong interest from SSC Napoli. As reported by ​CalcioNapoli24, journalist Raffaele Auriemma told Italian radio that ​Napoli are also chasing the 23 year-old, who is thought to be labelled with a sizeable price tag. "Lazaro’s agent is talking to Napoli…The price is very high. Hertha Berlin asks for €30m, but for €25m you can take him away." Auriemma did concede that it was far from a done deal with the Italian club, citing the two mid-table Premier League sides as interested parties. He continued: "There are Premier League clubs who follow him, particularly Everton and Leicester, who continually observe him during Hertha home games." Whilst the Naples club will have the pull of ​Champions League football, the Toffees and the Foxes are likely to rely on their ability to pay big wages, which often proves to be a magnet for top players. Speaking to the ​BBC on Lazaro's ability to successfully make a move overseas, German football journalist Raphael Honigstein was confident the 23-year-old could make a smooth transition. Honigstein said: "He’s been an amazing signing already if you see his energy and adaptability to play in different positions. This guy will go places. He looks like he can fit into many different shirts." With Premier League teams relying more and more on wide players to make the difference in games, the young Austrian would be an excellent addition to either Everton or Leicester, who will both have hopes of improving their squad over the summer.